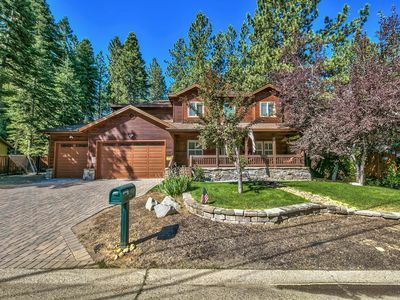 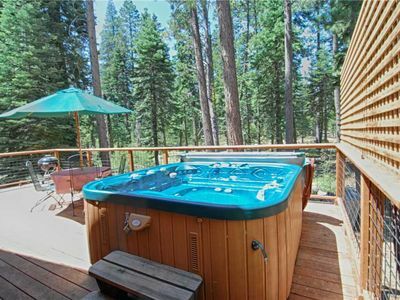 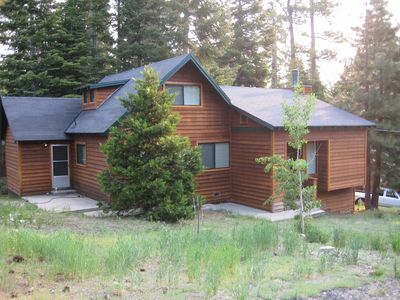 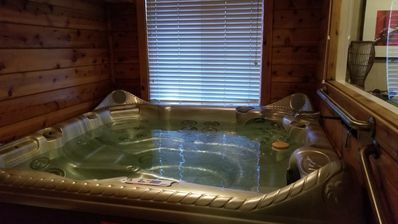 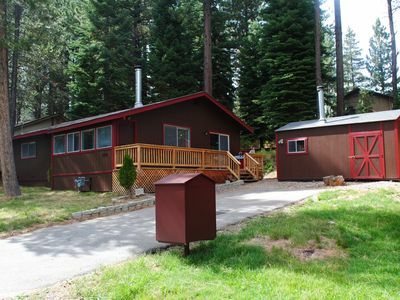 You'll enjoy an escape to the beautiful national forest meadow that surrounds this modern 3-bedroom, 3-bathroom home. 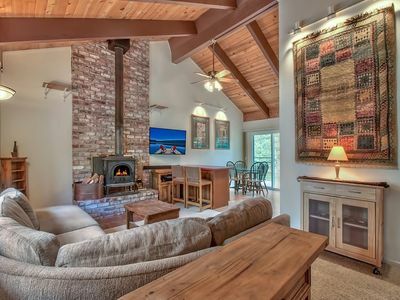 This modern yet cozy getaway sleeps up to 7 guests, making it the perfect vacation rental house for your next family trip. 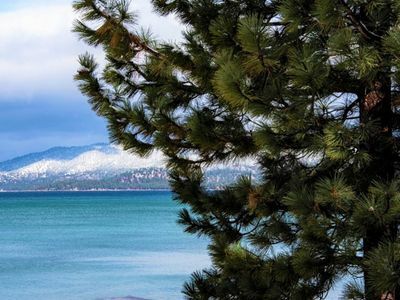 With skiing, hiking, mountain biking, swimming, kayaking and fishing, you'll have plenty of outdoor options regardless of the season. 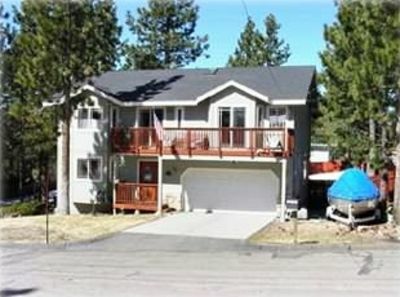 This beautifully remodeled home works well for a large family or 2 families traveling together. 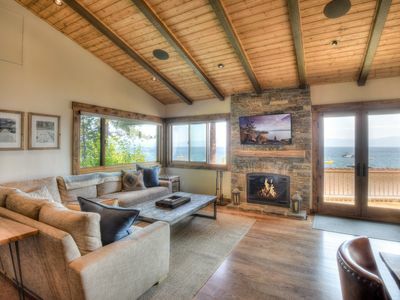 Enjoy relaxing with the group on the comfy furniture in both the living room and the upstairs media room. 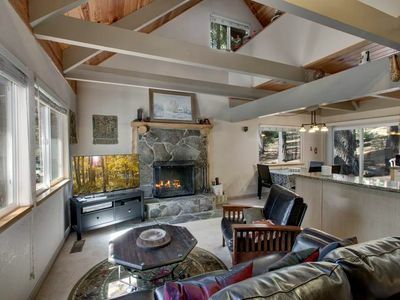 Each of these rooms includes a large flat-screen TV and vaulted ceilings giving them a spacious and inviting feel. 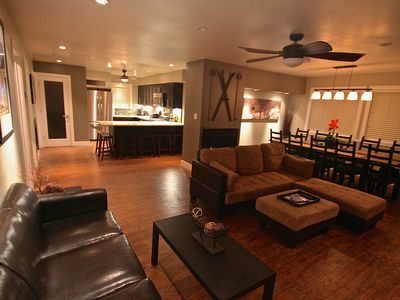 Challenge the others to a fun game of foosball in the living room. 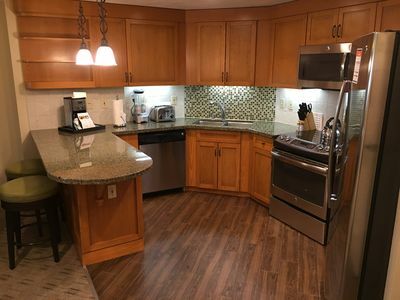 Once everyone is hungry, head to the the fully-equipped modern kitchen to whip up a family favorite. 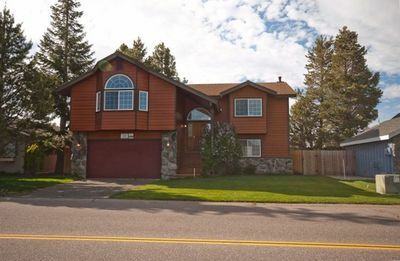 You'll have all the tools you need to create your favorite home-cooked meals. 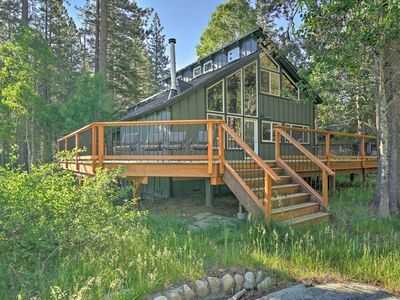 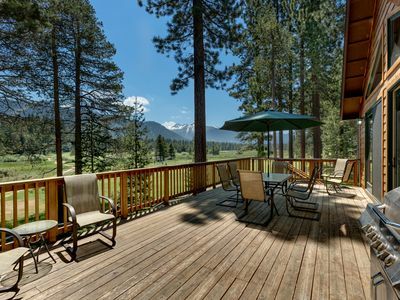 Set on the edge of the Eldorado National Forest, this property allows you to enjoy beautiful meadow and nature views in privacy. 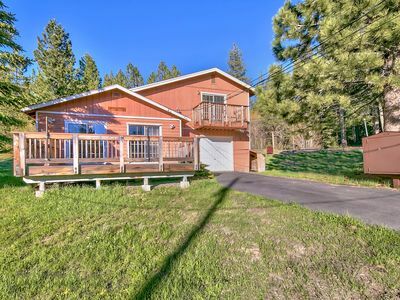 Grill out with the family on the large, newly renovated back deck overlooking the meadow on those warm sunny days. 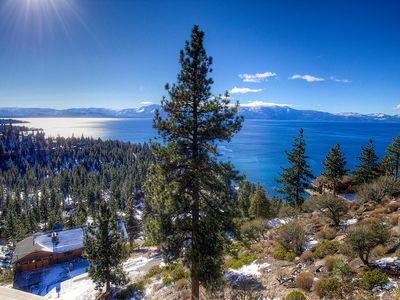 Don't forget to enjoy all the outdoor activities South Lake Tahoe has to offer! 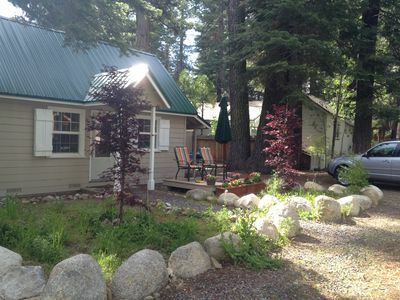 - Don't miss the seasonal pumpkin pancakes at Getaway Cafe! 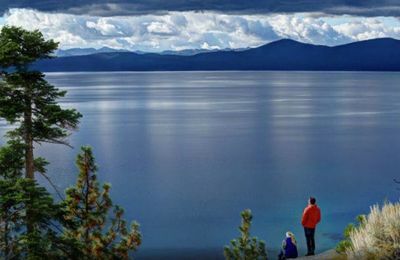 - Please note the cell phone reception can be spotty at times! 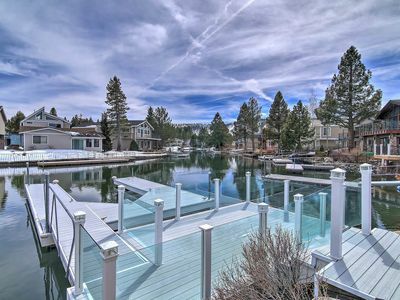 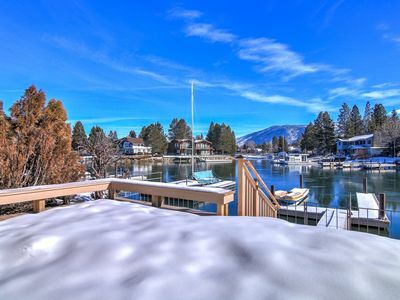 Enjoy your next vacation in an elaborate Lake Tahoe home!